If you love the fun and freedom of cycling but don't enjoy pushing the pedals too hard, then E-Bikes are the way to go. 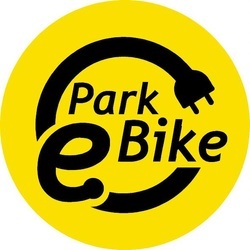 Our E-Bikes in Sintra have been so popular that we launched the Park E Bike service just for E-Bike Rental and Day Tours in Sintra! Electric bicycles are the perfect way to get around the hilly terrain of Sintra and see the sights without getting stuck in traffic, sitting along a fixed bus route or having to find a place to park your car. You can either rent an E-bike or make the most of your time on a Private Guided or Self Guided E-Bike Day Trip around the highlights and secret spots of Sintra. Available all year round. Our rides are a great way of taking in the sights and enjoying quiet roads. A moderate level of physical fitness is required, even though the E Bikes make pedaling up hill a lot easier. You should be comfortable walking up 4 flights stairs in order to enjoy our E-Bike tours. Bring comfortable riding shoes with a firm sole & layered clothes rather than heavy jackets. Sun glasses and Sun Screen are recommended in summer and wind breakers and light rain jackets in winter or if you get cold easily - you won't warm up as much on an E-Bike! Helmets are required & are provided by us.